Finding advice: what is a Debt Relief Order? How a Debt Relief Order can help. One of ways that advice can help if you have debts is to arrange a Debt Relief Order. In this guide to online advice we point you to websites where you can find out more about Debt Relief Orders. What about other help for debt problems? What about urgent debts I need help with? A Debt Relief Order (DRO) is a way of writing off debt. This means that after a period of time then your creditors (people you owe money to) will not be able to contact you about your debts. Debt Relief Orders only cover certain types of debt. You will still be responsible for some types of debt. See National Debtline – the kinds of debts a Debt Relief Order can cover. There are many things that you would need to think about, such as the effects of a debt relief order on your future borrowing. Citizens Advice – effects of a debt relief order has more on this topic. You may want to also think about whether there are other options for dealing with your debt. A debt adviser can talk you through these. A Debt Relief Order comes with a small fee compared to going bankrupt, but only some people will qualify. Find out if you may qualify for a Debt Relief Order by reading this short article: Citizens Advice – Debt Relief Orders – what you need to know. Your rights around debt and Debt Relief Orders can be complicated. If you are unsure about your rights and responsibilities regarding money and debt, you should get more detailed advice. You can’t apply for a Debt Relief Order yourself. You need to see an adviser who can apply for a Debt Relief Order for you. The adviser is someone called an ‘approved intermediary’ who is able to make the application on your behalf. To find an adviser who can help, see local debt advice. As part of the application, you will need to list all of your income and assets – savings or valuable items. At the time of writing, the Debt Relief Order fee is £90. You will need to pay this before the application can proceed. There may be help for the fee from a charitable grant, depending on your circumstances. You can browse Turn2Us for charitable grants. There are other ways of dealing with debt if you don’t qualify for a Debt Relief Order. You can find out about them on this page: National Debtline – Options for dealing with your debts. If you want to know about other ways of dealing with your debts, consult the Citizens Advice website: Options for getting out of debt, or get more detailed advice. It can be stressful dealing with debts. Some debts may have serious consequences, like losing your home. Find out which debts are the most urgent by reading this Citizens Advice help page: sorting out your most urgent debts. If you need advice about urgent debts, there are free national helplines run by charities who can advise you about debt. Look in our Advice Directory: money and debt self help. The results will give you some national helplines for debt advice. Your rights around debt and can be complicated. 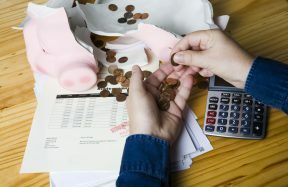 If you are unsure about your rights and responsibilities regarding money and debt, you should get more detailed advice. Your rights around debt and Debt Relief Orders can be complicated. If you are unsure about your rights and responsibilities regarding money and debt, you should get more detailed advice -see below for your options. Online There’s some great information on Citizens Advice about Debt Relief Orders which we’ve linked to in this article:. You can also check out National Debtline, which has an online ‘webchat’ facility, as well as a factsheet about Debt Relief Orders. It may be worth looking on the website from the debt charity Stepchange for their guide to Debt Relief Orders. For general money and budgeting advice, try some of the suggestions from the Money Advice Service. Face-to-face Finally, for local advice, go to our Advice Directory under Money and Debt, on the Filter tool click ‘advice’, and then click ‘Filter’. Check the list or Map view to see where you can get advice about Debt.